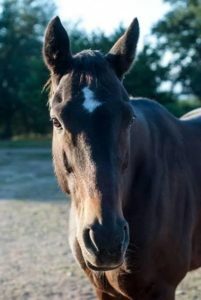 Following is information on two OTTB’ at LOPE that are in need of surgery. If you would like to make a financial donation, go to http://lopetx.org/support/ or call 512-565-1824. Surgery updates for LP’s Tiger and Tater Red: LP’s Tiger (aka “Elle”) had originally been scheduled for surgery (to remove her ovaries) on 1/16. Unfortunately the icy weather and road conditions made it impossible for the veterinarians to get to the clinic that day. Her surgery will now be on Feb 14. 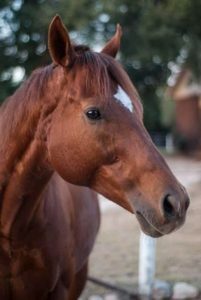 Tater Red’s surgery (to remove retained testicle) is scheduled for Feb 20. Both procedures will be standing surgeries. We’ve never had two surgeries in a single week before! But we are looking forward to Elle and Tater having successful procedures and being able to resume their journeys to new careers and loving homes. 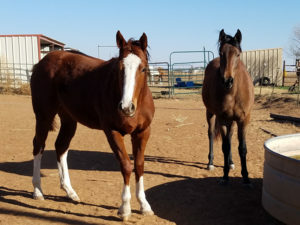 We still are raising funds for their surgeries ($1,000 left for Elle and $1,200 left for Tater) — and many, many thanks to everyone who has donated to help these two VERY deserving horses! On Saturday, March 4, horsemen are in for a real treat. The Paddock Foundation will be hosting an old fashioned horse fair in the saddling paddock area of Sam Houston Race Park from 10am – 1:00pm with horses available for viewing beginning at 11am. Admission is free and concessions will be available in the grandstand. The horse fair showcases Thoroughbreds that are finished with their racing career and ready to start a new career. This is not an auction. 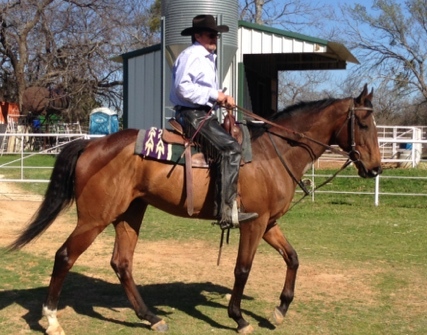 Potential buyers are able to view horses, talk with their handlers and negotiate a purchase. Shopping for a new horse has never been easier or more fun. Horses are brought up to the paddock area at the track so prospective buyers can see lots of horses in one place at one time. It is a great opportunity for professional trainers looking for young prospects to develop. Horsemen of all disciplines should be able to find a good prospect at the event. 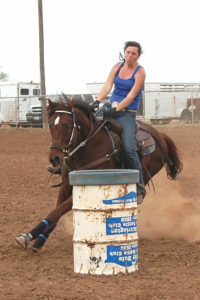 Many people don’t realize how versatile Thoroughbreds can be. 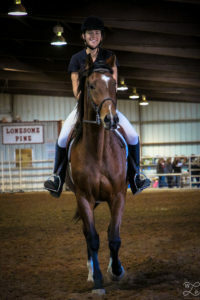 They can make excellent barrel horses, be taught to work cattle, become polo ponies, participate in dressage, jumping, or trail riding, Thoroughbreds can do it all. Along with horses, there will be a trade fair featuring clothing, tack, equine art, grooming products, information on racehorse re-homing groups, and more – everything a horse lover might want. Paddock Foundation president Hal Wiggins has been instrumental in developing the horse fair. “Helping Thoroughbreds on to their next career is the mission of The Paddock Foundation,” said Wiggins. 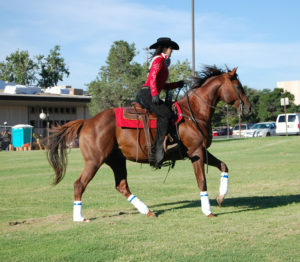 The Paddock Foundation sponsors Roses to Ribbons Old Fashioned Horse Fairs at each of the three Class 1 racetracks in Texas, shortly before the conclusion of the Thoroughbred race meet. For more information on booth space or the event itself, please contact Tracy Sheffield at (512) 395-5314.